Reynolds’ division forms south of McCook. 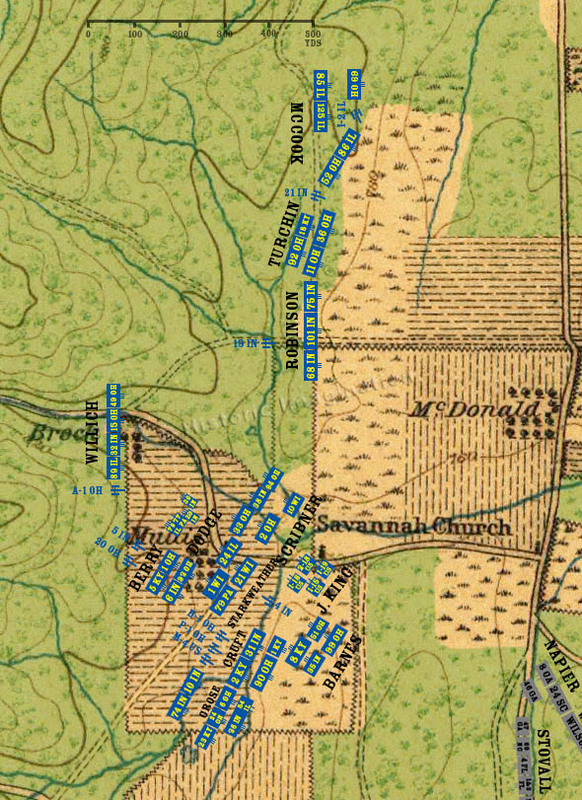 Palmer, Johnson, and Baird reform their divisions in the field surrounding the Mullis farm and nearby Savannah Church. The actual location and formation of the units reforming in Mullis Field are unknown.